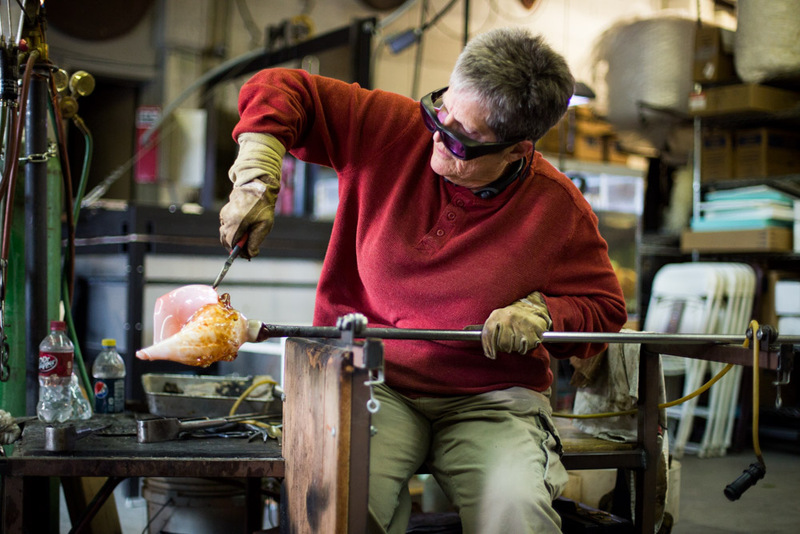 From a lifelong love of fire and an introduction to glass blowing at age 6, the desire to make glass art remained dormant until 2000. I took a class and the rest is part of the history. Numerous classes have further helped me develop as an artist. Since glass blowing is an art form for youth, in preparation for that day when the pipe will no longer be active, I've delved into further disciplines in glass. Torchwork is a miniatureized version of the glassblowing form and kilnforming is a quieter form of working with glass. *Find Elmo there on Mondays! *Find Elmos there on Tuesdays & Saturdays!